﻿Frederick Matthias Alexander, originator of what came to be known as the Alexander Technique, was a lousy teacher. We have it in writing from Lulie Westfeldt, a student of his, as well as from many others. OK, now, how ambiguous could that “simple” request of F.M’s be? Reading the above part of the quote, I had assumed that FM was standing behind Lulie, who was also standing when he made the request. Where his hands were located and if his hands were *on* her was not specified, but I would assume that his hands were on or near her back. But – does it matter how someone misunderstands? A teacher needs to be able to imagine what is happening from the point of view of the student. The ability to generate many other explanations for meaning and to select alternate or more suitable descriptions that the student understands is the job of teaching. There is a frustration point that occurs while training animals who cannot speak. For instance, this state is discussed in dolphin training, in a book by Karen Pryor (Don’t Shoot The Dog; it’s about the art of how & why training & reinforcement works.) There’s a definite moment of frustrating thrashing about when a very smart animal is figuring out what the trainer means. There is not a way to help the situation available by using language. In that situation, it’s good to let the student thrash because it does give them something to think about. But we have language – why is it so difficult to use it appropriately? Because F.M. was pioneering what he was teaching as he was doing it. It’s actually a good thing that F.M. Alexander was lousy at explanation. Because we have the non-verbal hands-on from him to communicate what he meant instead. Somehow, he managed to teach that very successfully. What could F.M.A. (or any teacher) have done differently? Once he figured out Lulie didn’t understand him, he could have admitted he didn’t know the best way to convey what he meant. F.M. could have explained why he thought it important to repeat himself. He could have explained why he had chosen those particular, “simple” words. He could have asked for his student to form a question about what she didn’t understand. He should have done his best to think about how to answer her constructively, or, perhaps conduct some experiments about what was the best way to answer her. He should have made her feel less embarrassed that she was not able to read his mind. He could have taken more responsibility for being the teacher and realized that students should not be expected to read the teacher’s mind. Because Lulie wasn’t the first student to react in this manner, he should have imagined he didn’t know the whole thing that was going on. Instead, F.M.A. came to the conclusion that his students were all “trying to be right.” In fact, they were being quite inventive at trying different responses, (risking that many of the responses were going to be wrong) hoping to hit into the ballpark of where he was refusing to specify. We know that F.M. declared that to use language only leads to frustration and misunderstanding. From these stories, we get a better idea how he came to these conclusions. I respectfully submit that there are enough challenges in Alexander’s work for a student to think about, without adding these unnecessary frustrations. These difficulties reveal that the teacher was lacking in the ability to connect language usage to the activity of what he wanted to convey to the student. It was F.M.A.’s mistake for not inhibiting his anger, at the very least. For sure there is a value of the student making this connection solely by themselves. But if the teacher never demonstrates, the student must be an awesome original thinker to make something new happen by themselves. By the teacher merely repeating himself, the student was reduced to the level of pure animal training and mind-reading. For sure, it is possible, given enough repetitions over time, to learn like this. Balinese Gamalon conductors give their musicians dirty looks when they play the wrong note, but that doesn’t mean that’s the best way to educate. Student successes occurred in spite of F.M.A.’s teaching methods, not because of them. But, it’s OK that Alexander was a lousy teacher. He was not infallible, he was human. Many people who can do something extraordinary are not talented at teaching what they can so expertly demonstrate and/or invent. Inventors often have no idea why people are so difficult and have trouble being able to do what seems self-evident to them. Many geniuses are peeved and frustrated that people do not understand them. They resent that they must figure out how to reach people and explain themselves over and over, making it so simple that it becomes trite. It’s tedious to keep introducing people who have the same sequence of misunderstandings about what you have to offer that seem to be inherent in the subject. But good teachers wonder about how to get over these challenges – and sometimes, their original thinking pays off. Obviously, the use of language to teach Alexander’s technique was an area of education that F.M. left to those he trained to later sort it out. …And those he trained did make significant contributions in these areas. It took a long time after his death for these new ideas about integrating language into F.M.A.’s work to come to culmination. According to my observation of being able to read (all of) the collected published articles on Alexander Technique at the London Society of the Teachers of the Alexander Technique office in 2001, it wasn’t until the mid-1980s or so that writers began to say something in their writing about A.T. beyond parroting F.M.A.’s story narrated in his book “The Use Of The Self”. Of course it follows that we’re better teachers of A.T. now, because we’ve had an easier time at learning it – and time to articulate what we’re doing. It’s fortunate that Alexander’s legacy has principles rather than merely forms or routines that express these principles. Principles have allowed the work to grow and evolve, and we are still growing. We’re carrying F.M.A.’s work on, building, contributing in whatever ways we’re talented to do. The world needs all the different variations that include easier ways to teach – as these principles are now reaching more cultures, more subcultures. The world also needs the preservationists, who work to keep the original vision pure. After having withstood more than a hundred years of value, I don’t think F.M.A.’s work needs defending. Certainly, I can say he was it was fortunately for us he was a lousy teacher. Otherwise we wouldn’t have such a well-developed and interesting example of the hands-on method that communicates so far beyond language. “Show me” took on a whole new meaning, thanks to F.M.A. I think F.M.A. would have been quite pleased in the results of those who continue to integrate the use of language skills to reach students and teach them faster and with less frustration. The lifetime of work that F.M.A. did do was spectacular enough without having to make him into a perfect teacher – as well as the genius-inventor spearhead of the next step in human evolution. OK, I know the part about human evolution seems over the top. But I completely agree with F.M. Alexander on his prediction of how important his work is turning out to be. I doubt if anyone will believe what I have to say about it. Even though the field of Alexander Technique had those who are much more eminently qualified than myself say exactly that same thing. 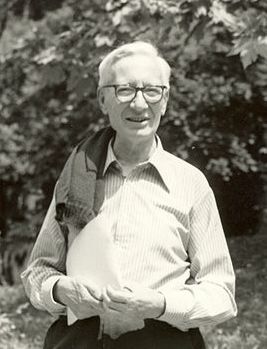 As Nikolaas Timbergen accepted a Nobel Prize for Physiology or Medicine in 1973, he praised the value of Alexander's technique. But I’ll say it again anyway. Most people imagine such a statement is merely the proselytizing of a fanatic’s, because it’s just too grandiose. But they haven’t learned F.M.A.’s work yet. Often I wonder how many other people agree with me, although it’s not a politically correct thing to advertise. In the long run, humans as a species NEED to think ahead quite a bit more about the cumulative, long-term effect of their actions. In the short-run, if education could offer a practical means to get past the coercive resistance of fear, resistance, defensiveness, self-preservation & self-protectiveness, people could accomplish quite a bit more in the continuous improvement department. Amazing that a person can learn to over-ride or re-direct one’s own particular choice of response beyond conditioned reaction to ANY stimulus. That is the meat of how this challenge to think ahead can be faced and mastered on the most personal level. This is what F.M.A.’s work offers. That’s what makes it extraordinary.